This article, related to truck-to-truck propane transfers, first appeared in the January/February 2015 edition of Propane Canada magazine. There are times when there is a need to transfer liquid propane from one propane transport vehicle to another. 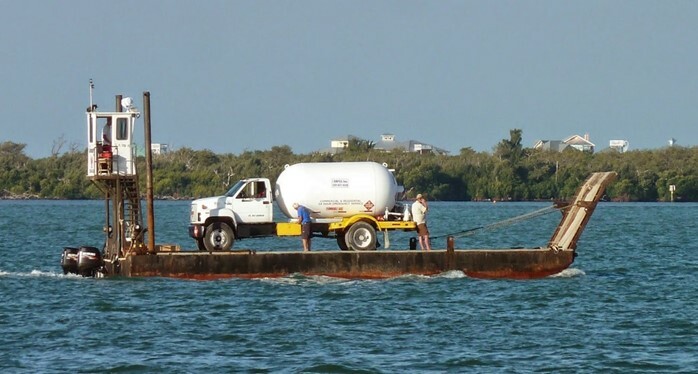 Typical uses for truck-to-truck propane liquid transfers are where a smaller tank truck is attached to a barge for island deliveries and specialty off-road tank trucks used for remote deliveries in the oil patch and mine sites. The other times would be in cases of emergencies such as when there is a power outage at the bulk plant or a tank truck or cargo liner tank needs evacuating due to an accident. The TDG regulations, through the adoption of the CSA B620 Highway Tank and Portable Tanks for the Transportation of Dangerous Goods standard stipulate that when loading or unloading a cargo liner or tank truck, you must, during the transfer process, use the fail-safe brake inter-lock system and chock blocks at the rear wheels of both units involved in the transfer to ensure that both units involved do not move. The periodic inspection or test intervals for tanks involved in the transfer must be up to date. Immediately after the liquid propane has been transferred, all valves on both the supply and receiving tank must be closed and secured. The 2010 CAN/CSA BI49.2 Propane Storage & Handling Code requires that when offering for transport or transporting propane that the requirements of the TDG regulations must be followed. The 2015 edition of the CAN/CSA B149.2 Propane Storage & Handling Code, to be published in August of 2015, also speaks to this issue. The code stipulates that the contents of a cargo tank or cargo liner may be transferred to the cargo tank on another tank truck or cargo liner in an emergency. The transfer of propane from a cargo tank or cargo liner for any purpose other than an emergency shall only be per-formed when specifically approved by the authority having jurisdiction. It should be noted that for the purposes of the above provision, emergency means a sudden, urgent, usually unex-pected occurrence or occasion such as a general power failure, plant mechanical failure, incident, or vehicle mechanical failure requiring immediate action to protect or reduce the hazard to public safety. Currently, two provinces, British Columbia and Ontario, have issued specific enhanced requirements over and above the TDG requirements as to how truck-to-truck propane liquid transfers are to be carried out in their provinces. Until such time that the 2015 Code is adopted in your province, you must follow the TDG requirements if your province has not issued additional requirements. On December 30, 2010, the BC Safety Authority issued Directive # D-G5 101230 1 which outlines the operating procedure that needs to be in place for the tank truck to tank truck transfer of liquid propane along with the required training of the personnel performing this procedure. Procedure accepted by the BCSA must be in place that describes in detail how, when, and where this activity will take place, along with the specific training of the personnel performing this procedure in accordance with accepted industry practice. Tank truck – A truck chassis and tank assembly as a complete unit for the bulk delivery of propane. Cargo Liner – A vehicle that is used to transfer propane in which the tank constitutes the main structural member and that is towed by a separate motor vehicle. Note: For the purposes of this Directive, the terms “Tank Truck” and “Cargo Liner” are interchangeable. Filling Plant (bulk plant) – A facility, the primary purpose of which is the distribution of propane. Such plants have bulk storage and usually have container filling and vehicle transfer facilities on the premises. Bulk plants are considered part of this category. The above described Operating Procedure must be developed and delivered to the Provincial Safety Manager – Gas for acceptance. Although Clause 8.13.3 of the CAN/CSA B149.2-05 allows for the transfer of propane from one tank truck to another, this activity shall not be performed by any individual who is not following an accepted Operating Procedure. The only exception is when a propane emergency exists and where it is decided this practice will reduce the risk of accident or severity of an incident. In this case, a Remedial Measures Advisor from the Liquefied Petroleum Gas Emergency Response Corporation must be in attendance and permission from the Provincial Safety Manager or their designate must be received. 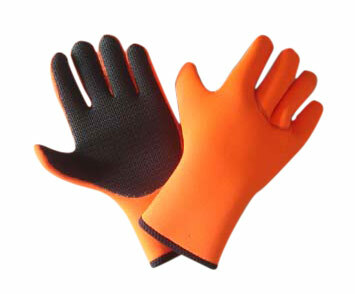 Filling plants must meet the operating requirements described in section 28 of the Gas Safety. Regulation (GSR) and comply with the CAN/CSA B149.2-05. Tank trucks or cargo liners must comply with all requirements as contained in the CAN/CSA B149.2-05. Tank truck to tank truck transfer must be performed only by personnel trained in the Operating. Procedure, qualified as required by section 5.2.10f the CAN/CSA B149.2-05, and authorized in accordance with section 4(1)(d) of the GSR. The facility complies with all Local Government requirements. The aggregate amount of propane contained in any offloading tank truck and the approved stationary tank(s) shall not exceed the maximum storage capacity of the stationary tank(s). A designated filling plant (bulk plant) used to transfer propane from one tank truck to another tank truck shall be approved by the Local and Provincial authorities having jurisdiction. The contents of a tank on a tank truck or a cargo liner shall not be transferred to the cargo tank on another tank truck or cargo liner unless the operation is carried out at a filling plant. Except for an emergency such as a loss of power due to unexpected natural weather, the transfer of propane from a cargo tank to another tank truck or cargo liner at the filling plant shall be approved. The filling plant shall hold a valid license. The filling plant shall have a permanent licensed storage capacity of at least the largest tank truck, or the amount of the truck to truck transfer shall be specifically approved by TSSA. 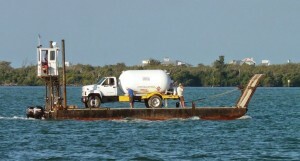 The transfer shall be performed by a Propane Truck Operator (PTO) certificate holder. The risks associated with the operation, including mitigation measures and emergency procedures in place. All requirements and minimum clearances of CSA B149.2-10, including emergency shutoff valves shall be complied with. In closing, remember you are handling liquid propane that can cause serious freezer burns and injury if the liquid comes into contact with your skin. You must, therefore, wear the proper protective clothing and gloves when connecting and disconnecting propane hoses during truck-to-truck transfers. To address your training needs, the Fuels Learning Centre’s “Loading & Unloading Propane Cargo Liners (TO01)” and “Loading and Unloading Propane Tank Trucks (TO02)” courses include the latest requirements for truck to truck liquid propane transfers by providing the specific TOG and provincial requirements.